A GOBABIS man this week testified about escaping the jaws of prison, in a matter in which his brother is implicated for the murder of his lovers’ husband. Wesley du Preez told the court that he was taken in for questioning when police discovered that he knew about his brother Ryno du Preez’ plans to murder Rudolph Rittmann and did not report the matter. According to Wesley, Rachel Rittman, Rudolph’s wife offered to pay for his trip to Europe, if he agreed to be part of the orchestrated plan to kill Rudolph, whose burnt remains were discovered a few kilometers after Hosea Kutako International airport, days after he was reported missing. “I then agreed and my brother asked if I was sure. She mentioned that she would be getting N$ 700 000 from an Old mutual policy. The plan was to murder him, burn his car and make it seem as if he had a car accident. Rachel was laying out the plan, she offered me a house or a trip to England,” Wesley said. It is further his testimony that the plot to kill Rudolph was put on hold at some point, because the deceased found out. 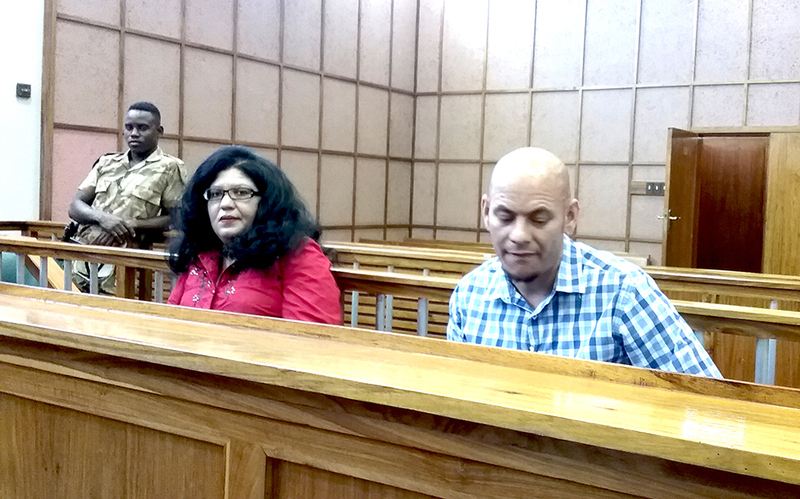 At the start of their trial yesterday (Monday), the couple pleaded not guilty to the charges against them. Rachel and her husband reportedly had marital problems, which led to their separation in 2013. The state is alleging that Rachel plotted her husband’s murder to cash in on the inheritance money. She allegedly dosed her husband’s drink with an unknown tablets, after which she called du Preez, who stabbed him as he laid in a state of confusion, before driving off his vehicle and burning it with his remains. 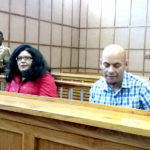 Wesley’s girlfriend, Natasha van Wyk also told Judge Christie Liebenberg on Tuesday that she overheard Rachel talking about buying a plot and building flats, where she and her lover would stay, after receiving the policy money.